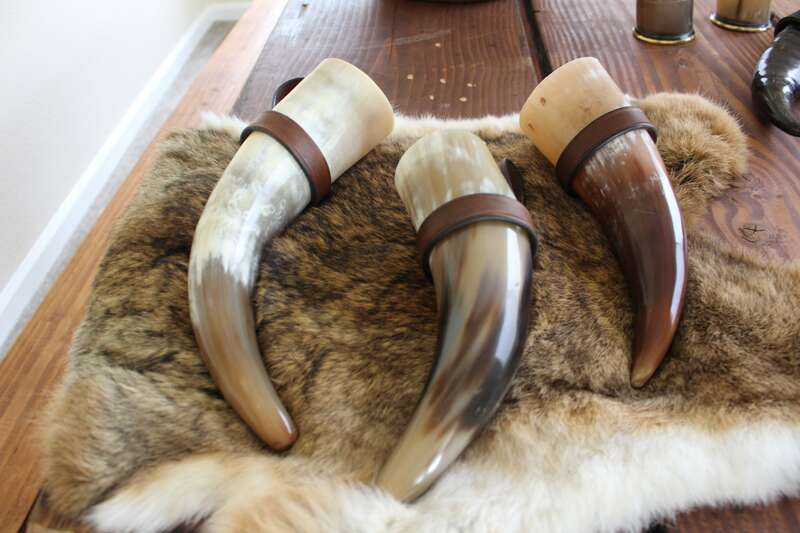 *These horns are sealed with beeswax which is the most traditional way to seal a horn for drinking. They also come with a hand crafted belt loop holder that has been dyed, sewn, burnished and crafted in house. Averaging around 9-12 inches long. 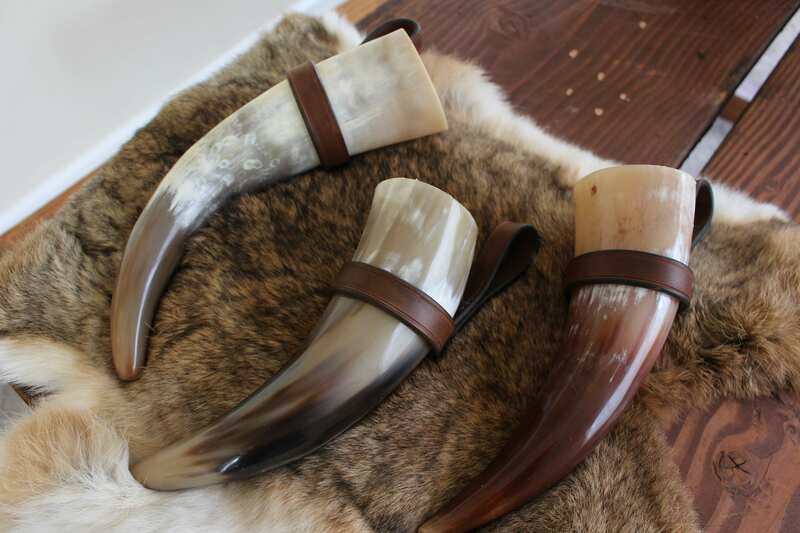 The horns hold 1-1.5 full cups of liquid, around 350ml. As this is a natural product there will be slight variations in each one such as size color and thickness. 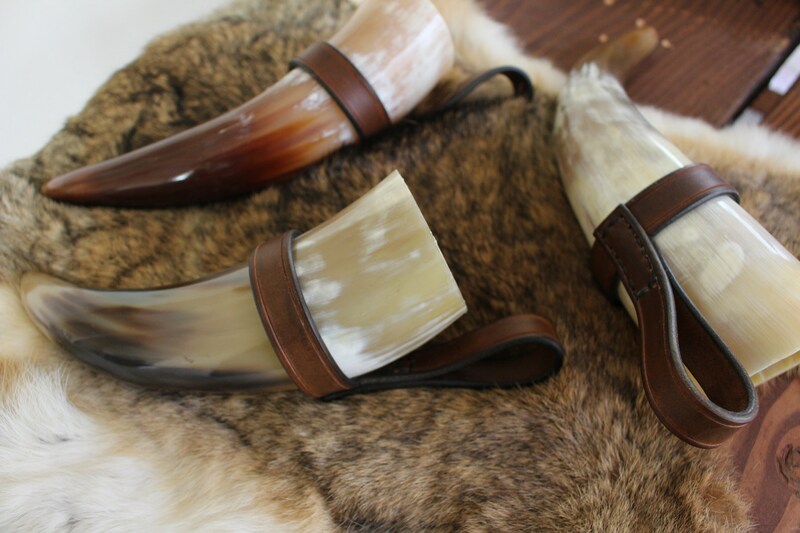 I scrub and clean all the horns inside and out, they are hand sanded and sealed with a food grade all natural beeswax. 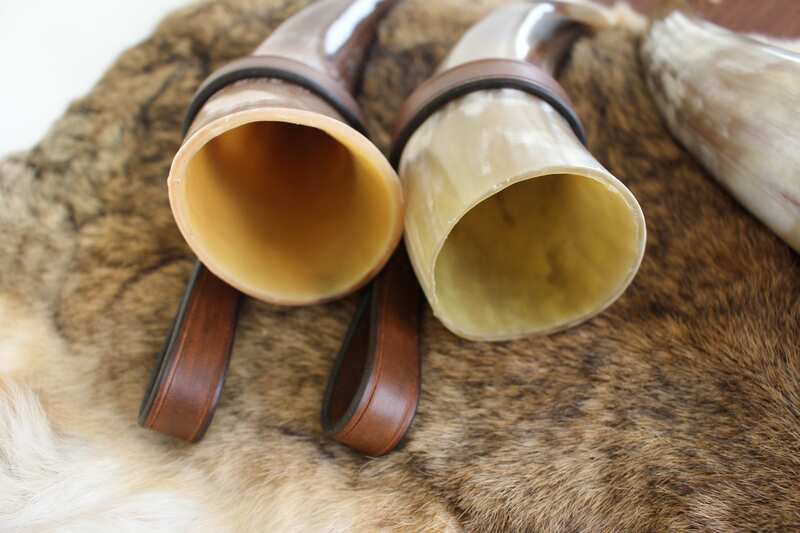 *The horn will have a lovely aroma of honey and beeswax. Great quality, shipped and arrived very fast! Super responsive to my questions and super fast shipping! And the horns are awesome too!